Pushkar is surrounded by hills from three sides and sand dunes on the fourth side. Pushkar which is surrounded by 52 bathing Ghats is one of the best destinations to watch Hindu pilgrims and their rituals. Brahma temple is the only temple in Pushkar which attracts people from all over the world and India. Among 52 bathing ghat Gandhi’s ghat is famous because Mahatma Gandhi ashes were sprinkled there. 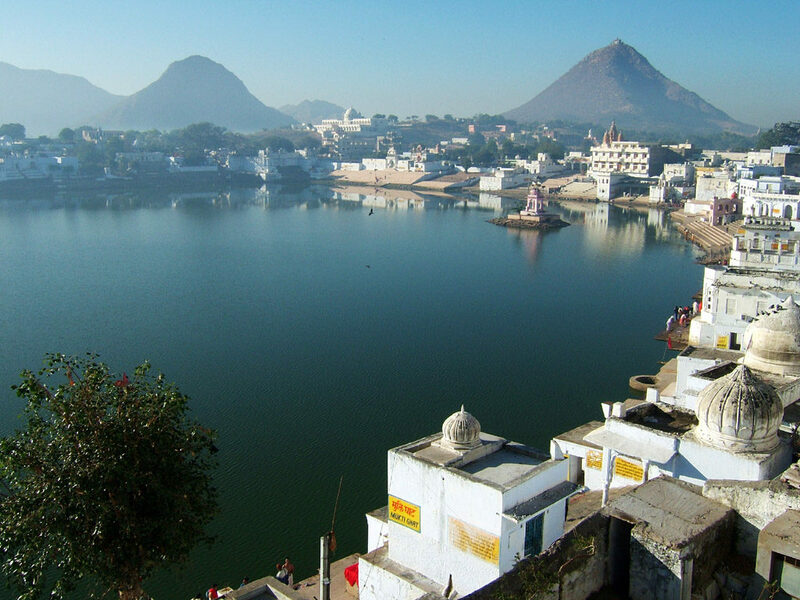 Pushkar Lake is also famous here as it has been said that lotus flowers were dropped by lord brahma so this lake has been formed. Pushkar will charm you with its aura during Rajasthan tours. Pushkar Lake- It is one of the major attractions of Pushkar which is believed to be formed when lotus flowers were dropped on this lake. Brahma Temple – It is the only brahma temple in India and the world which lies near the Pushkar Lake. It is one of the famous sites of Pushkar pilgrimage. 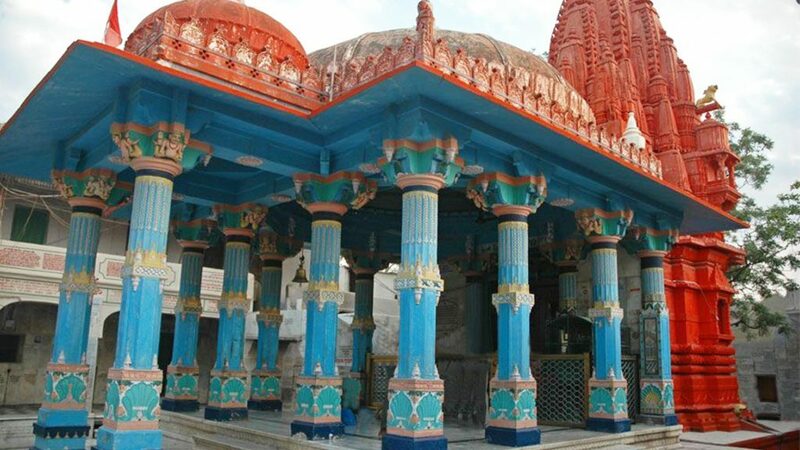 Brahmma temple is one of the major Pushkar tourist attractions. Pushkar Fair – Pushkar fair is an annual five day camel and livestock fair which held in November every year in the month of Kartik Purnima full moon. It is famous all over the India and the world which is visited by thousands of people every year. Best time to visit Pushkar? 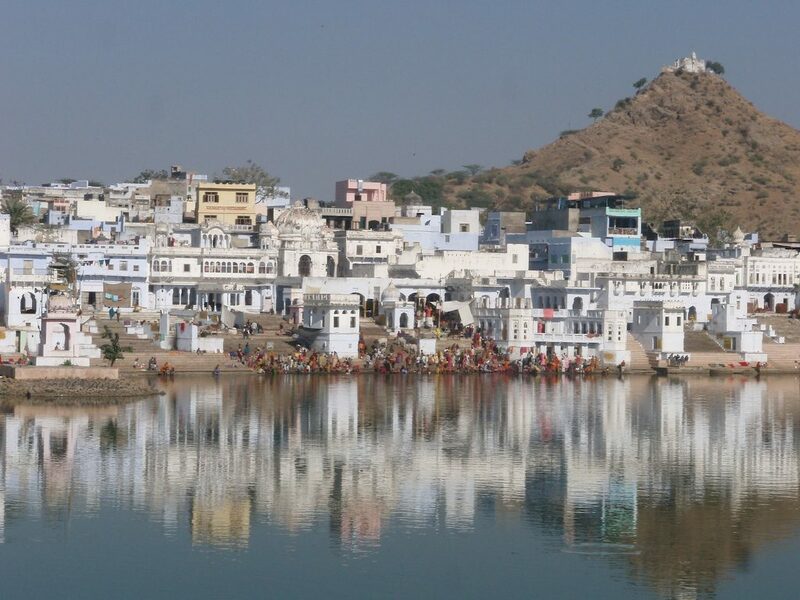 Pushkar is a beautiful pilgrimage place which attracts people all the year. November to March is the best time to visit Pushkar. Weather remains pleasant during this time. 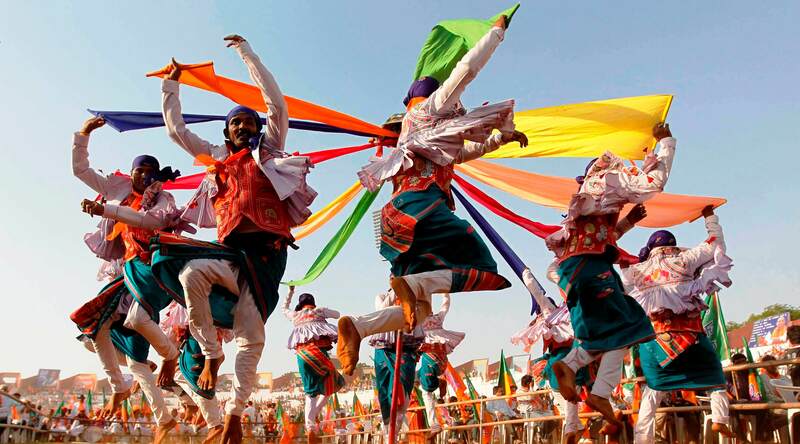 November is the peak season to visit Pushkar due to Pushkar fair. This is the time when pilgrims or thousands of visitors take a full dip in the Pushkar Lake. The city houses some of the best hotels in Rajasthan. The Pushkar Bagh, The Country Side Resort, Green Park resort, Ananta Spa and Resort and Dera Masuda Luxury Resort are the best hotels to stay in Pushkar. All these hotels will make your Rajasthan tourism amazing and relaxing. 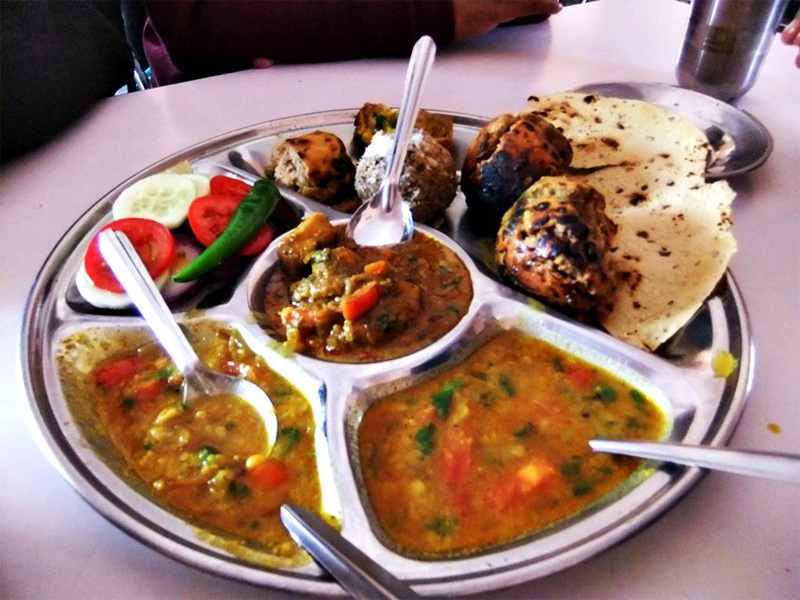 What to eat in Pushkar? Honey and Spice- It is one of the best restaurants in Pushkar which is mainly famous for fruits juices and shakes. Along with that you will also get sandwiches and salads. Sunset Café – It is a roof top restaurant which offers a great view of the lake. Here you will get a variety of Indian, Chinese and Italian cuisines. It is a perfect destination to see the sunset view. Funky Monkey Café-It is one of the famous café which is famous for sandwiches, German bakery cake, sandwiches and many more. American and Chinese cuisines are also available here. Little Italy Restaurant- It is famous mainly for pastas and pizzas. Pushkar is famous for miniature paintings, colorfulpuppets, stone work and silver jewellery, wall hangings, groovy accessories and embroidered clothes. Sadar Bazar is the main shopping area in Pushkar. Baza bazaar, Kedalganj bazaar and sarafa bazar are the other famous markets in Pushkar. One can reach Pushkar through railways, roadways and airways. Jaipur International airport is the nearest airport to Pushkar which is 140 km away from Jaipur. There are regular trains from Ajmer which connects it to the Pushkar.